This project at MA Audubon Long Pasture Wildlife Sanctuary has been under development and will be completed in the spring. Located in historic Cummaquid Village of Barnstable, this project will directly affect visitors’ experiences through an engaging, living interpretive food forest exhibit of edible plants and trees adjacent to the visitor center at Long Pasture. A food forest is a multi-story approach to agriculture that integrates edible trees, shrubs and perennials. The demonstration garden will transform a part of the sanctuary that was overgrown with non-native, invasive species into a diverse and vibrant living exhibition space. The exhibit will integrate food-producing trees known to many, but rarely seen actually growing locally, and lesser known plants and shrubs. 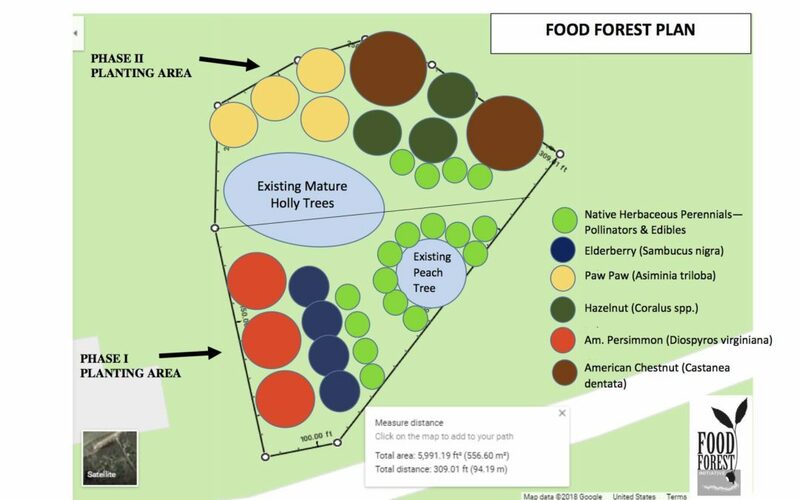 For example, the food forest will feature American chestnut trees and hazelnuts, along with less familiar trees like paw-paw and American persimmon. All plants and trees will be labeled, educational signage will provide interpretation and walking paths will allow visitors to meander through the permanent edible landscape. For more information and to listen to an interview with some of those involved in created the food forest follow this link.